This New Aluminum Crankshaft Pulley fits 66-77 Early Ford Broncos with 170ci or 200ci Straight Six Engines. 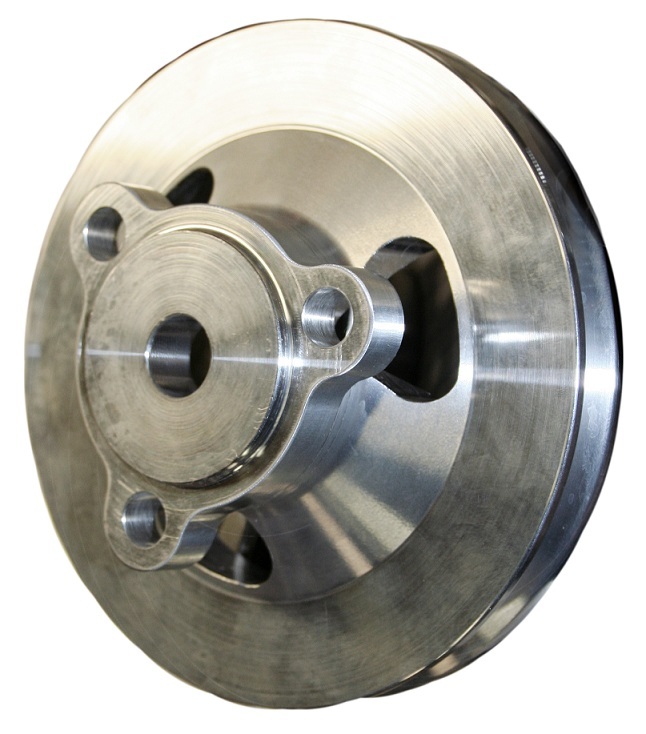 This pulley will provide a second groove on your six-cylinder engine, which allows you to add power steering, a/c or another belt driven add-on. NOTE: To make this pulley work, the harmonic balancer must be the style with three threaded holes in the front of it. If you do not have this balancer, you will need to purchase it separately. For your convenience, you can add this balancer to your order on the following page after adding this pulley to your cart.